Washington, DC, July 27, 2012 – Lisa Raymond, the 2012 mixed doubles Wimbledon champion, appears in her first public service announcement for ThanksUSA since being announced as the charity’s national spokesperson earlier this year. Click here to view the PSA. Ms. Raymond has joined Mr. Bryan and twin brother Bob in ThanksUSA’s “Tennis Thanks the Troops” campaign, a cornerstone in the charity’s efforts. The nationwide campaign was launched this spring, with the United States Professional Tennis Association (USPTA) leading the effort with ThanksUSA and additional support from the United States Tennis Association Mid-Atlantic (MAS). Through the “Tennis Thanks the Troops” campaign, the Women’s Tennis Association (WTA) No. 1 Doubles player and U.S. Open Doubles champion Ms. Raymond, along with the Men’s Doubles champions the Bryan twins, partner with U.S. tennis clubs, professionals, players and fans in helping provide need-based post-secondary school scholarships to military families. The powerhouse mixed doubles pair of Lisa Raymond and Mike Bryan is now setting their sights on repeating their Wimbledon win at the summer Olympics where mixed doubles is returning as a medal sport for the first time since 1924. Mike and Bob Bryan, bronze medalists in Beijing, will also be competing for gold in men’s doubles. They are top seeds in the men’s doubles, and Liezel Huber and Lisa Raymond are seeded No. 1 in the women’s doubles. 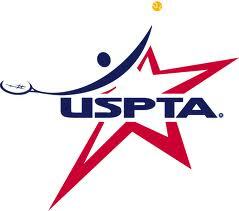 Washington, DC, May 9, 2012 – ThanksUSA today announced that Women’s Tennis Association (WTA) No. 1 Doubles Player and US Open Doubles Champion Lisa Raymond will serve as a national spokesperson for the charity, which aims to thank America’s troops through the gift of education. Ms. Raymond is partnering with Men’s Doubles Champions Bob and Mike Bryan to team with tennis clubs, professionals, players and fans around the world to help provide ThanksUSA scholarships to military families. The Bryan brothers also produced a public service announcement for ThanksUSA that is being featured on the Tennis Channel and on TV stations in major markets. The new nationwide “Tennis Thanks The Troops” campaign launched this month in honor of Military Appreciation Month. The United States Professional Tennis Association (USPTA) is leading the effort with ThanksUSA, with support from the United States Tennis Association Mid-Atlantic (MAS) through their tournaments. “We are proud to be a part of a program that allows our members the chance to give back to those who are serving our country and their families through the invaluable opportunity of education,” said USPTA CEO Tim Heckler. Tennis facilities are holding ThanksUSA tournaments, sports clinics, auctions and other fundraising events, with a special focus on Memorial Day, to raise money in support of the ThanksUSA mission to provide need-based scholarships for the children and spouses of active-duty men and women across all the U.S. Armed Forces, the National Guard and Reserves. Founded in the fall of 2005, ThanksUSA, a non-partisan 501(c) (3) organization, is an effort to thank the men and women of our armed forces and their families for their service to the country with the gift of education. The organization provides needs-based, post-secondary education opportunities to the children and spouses of active-duty status military personnel through competitive scholarships. For more information, visit www.ThanksUSA.org. Founded in 1927, USPTA strives to raise the standards of the tennis profession while promoting greater awareness of the sport. USPTA offers 70 professional benefits to its more than 15,000 members worldwide, including certification and professional development. With more than 300 days of educational opportunities throughout the year, USPTA offers the most comprehensive continuing education program in the tennis industry. For more information, call 800-877-8248 or visit www.uspta.com. The USTA/Mid-Atlantic Section, one of 17 sections of the United States Tennis Association, is a not-for-profit organization committed to promoting tennis by offering quality recreational and competitive programs for people of all ages and abilities. Mid-Atlantic has been part of the official governing body for tennis in America since 1923. We serve more than 40,000 members in the District of Columbia, Maryland, Virginia, and eastern and southern West Virginia. Tennis players of all ages and skill levels are involved in leagues, tournaments and programs sanctioned by the section. A native of Wayne, Pa., Raymond is currently ranked No. 1 in doubles on the WTA Tour alongside her doubles partner and fellow American, Liezel Huber. Throughout her professional career of 19 years, Raymond has won 78 women’s doubles events and six major championships. Raymond is the oldest woman ever to win a Grand Slam women’s’ doubles title, winning the 2011 US Open with Huber at age 38 (previous oldest was a 36-year-old Billie Jean King).